Through media coverage, member newsletters and bulletins, email and word of mouth – news of the name change from the Smart Card Alliance to the Secure Technology Alliance is slowly filtering out. It is not easy to change 17 years of our identity and history overnight, but it helps when that change is welcomed by many as being made for the right reasons. The core of the organization, rooted in the security attributes of smart card technology and applied to a broad range of markets, including payments, identity, access and mobile application security, lives on under the expanded mission of the Secure Technology Alliance. In recent years, smart card technology discussions took on broader meaning and importance chip security evolved beyond traditional cards and into other shapes and forms as the world became increasingly more mobile and internet-connected. Concurrently, as our industry has been embracing these changes in secure chip technology to meet new demands to secure connected cars, wearables, home electronic devices, smart buildings and entire cities, the U.S. market is also experiencing the fastest and most expansive adoption of chip cards in the world. This adoption is led by the payments industry’s introduction of EMV credit and debit cards, and further expansion of government-issued ID cards and border crossing credentials. The demands for the Secure Technology Alliance to support the expanded issuance and usage of smart cards for payments and identity, while paving the way for faster adoption of embedded chip technology and other related hardware and software security solutions, puts the Alliance on a sustainable path for the organization and exciting new growth opportunities for members. The Alliance serves both the present demands for traditional smart card applications and the opportunities for new and emerging technologies that will support the use of secure chip technologies for Internet-connected devices and mobile networks to control access and secure operations. The discovery of new uses for core technology behind smart cards will lead to new members joining the Alliance to gain the necessary knowledge and experience that our highly-regarded association has a reputation for. The Alliance is a big tent of diverse members with diverse ideas, and possesses the means to get things done. The Secure Technology Alliance is strong now, and will be even stronger in the future with so much opportunity ahead of us. 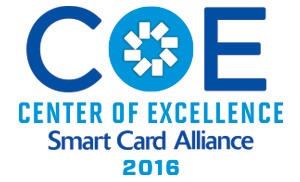 A 2016 Center of Excellence recipient, ACS develops and provides smart card operating systems (COS) and readers to facilitate the implementation of smart card-based systems for various applications and industries. It was founded in 1995 and is Asia Pacific’s top supplier, and one of the world’s top 3 suppliers of PC-linked smart card readers. Advanced Card Systems Ltd. (ACS) provides smart cards, smart card readers, and related services to over 100 countries worldwide. It also offers end-to-end solutions, such as micropayment systems and automatic fare collection (AFC) systems. ACS is publicly listed in the Hong Kong Stock Exchange (SEHK: 2086) and powers solutions in different industries such as identification, e-government, e-healthcare, loyalty transportation, e-payment and e-banking. Smart card technology is at the core of our hardware and solutions. We believe that smart card‒based technologies have huge potential to addressing a lot of the problems in different industries in terms of efficiency, security, and convenience. Not only does the technology secure objects and transactions, but it can help curb resource-intensiveness, simplify processes, and minimize errors due to human intervention. Accordingly, we have designed a wide range of products and solutions centered around smart card technology for different applications. Dual interface and contactless smart cards/ NFC are expected to become the mainstay in smart card utilities, because of the superior qualities that they can provide. More advanced technologies, such as Bluetooth®, will gradually replace legacy systems, with organizations demanding that smart devices do more and more things. There will also be greater adoption of mobile technologies. With the advent of the Internet of Everything (IoE), end users will place greater reliance on trusted identities. Before, their use was predominantly to interact with the government, financial institutions, and other public and private organizations. Now, there are more things to secure. Trusted identities, aside from being more prevalent, will also evolve, taking on the form of mobile credentials or a combination of mobile and other credentials. To leverage these trends organizations need to surmount the complexity of migration. Migration complexity encompasses training, documentation, scheduling, technical, and other issues. Additionally, migration entails considerable investment. However, if these factors are overcome, organizations are in a position to offer end users greater security, convenience, and functionality than ever, and boost its competitiveness in a fast-changing world. ACS, meanwhile, is leveraging current trends by diversifying its devices to accommodate a mix of older and the latest technologies. We now offer all-in-one devices, such as ACR900 banking POS terminal, that are able to support dual interface, contactless, contact, and older technologies such as magnetic stripe. Through these, ACS hopes that organizations will be able to better handle factors that can hamper technology migration. ACS has also released its line of mobile card readers, which are, again, diversified to support different card types, different operating systems, and different devices. ACS also incorporates the latest innovations into its devices, including Bluetooth® Smart. Our ACR3901U-S1Secure Bluetooth® Contact Card Reader and ACR1255U-J1Secure Bluetooth® NFC Reader offer different feature mixes for different needs. What’s upcoming for the company? Current trends indicate that aside from rethinking the functionality of products, we have to rethink even the form that products are supposed to take. We have seen, for example, the need to offer module readers, instead of providing traditional form factors, because with developments in terms of trusted identities, we found that security has become necessary even in unexpected instances, like mobile tablets. Therefore, we also actively apply for different international certifications such as EMV, PCI-PTS, MasterCard® PayPass™ and Visa payWave® etc. We believe that just as ACS is proactive in meeting the needs of organizations, organizations and end users can maximize the benefits of current trends by being open to the possibilities presented by technology shifts and innovations. While technology trends can demand a measure of not only capital, but adaptability, embracing changes in the technology landscape will no doubt help organizations and industries grow and prosper. The Mobile Council published the new white paper, Mobile Identity Authentication; the white paper provides an educational resource on mobile identity authentication techniques and use cases. The Council is continuing work on two additional white papers: mobile profiles and provisioning; Trusted Execution Environment (TEE) 101. The Council has also launched a survey to get member feedback on project priorities for 2017. Survey responses are due by the end of April. The Payments Council published the new white paper, Blockchain and Smart Card Technology; the white paper provides a primer on blockchain technology, discusses use cases that are currently commercially available or being piloted, and discusses the role secure element/smart card technology plays in the different use cases. The Council is continuing work on the EMVCo Payment Account Reference (PAR) use cases white paper and has launched a survey to get member feedback on project priorities for 2017. Survey responses are due by the end of April. We have membership icons available on our members-only site. Simply download your member type (Associate, General, Leadership), and include the icon on your email signatures, business cards, corporate website, and other communication materials. To access this benefit, go to https://protected.securetechalliance.org/members-membership-icons. 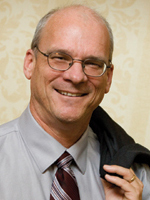 Join government and security executives, as well as industry leaders on June 6 at the Hamilton Crowne Plaza Hotel – Almas Temple in Washington, D.C., for “Securing Federal Identity 2017.” This one-day event will feature the significant policy issues and technology developments for today’s federal identity and security industry. We’ve updated the format to bring you the most important developments, innovations and experts in federal identity credentialing and access security. Register today for this highly focused and energetic event. A CSCIP/G training and exam will be held June 13-14, 2017 at the National Center for Advanced Payments and Identity Security in Arlington, VA. Classes fill up quickly, so register soon if you plan on taking the training and/or exam. Two sessions for the CSEIP training and exam certification have been scheduled, and registration is now open. The first session is May 23-25, 2017, and the second will be held June 13-15. Both sessions will be held at the National Center for Advanced Payments and Identity Security in Arlington, VA. Check the site for sessions scheduled for July through December 2017.